A perfect place for the BANKERS table lamp is definitely a classy wooden desk on the management floor e.g. as the name already suggests, in a bank. 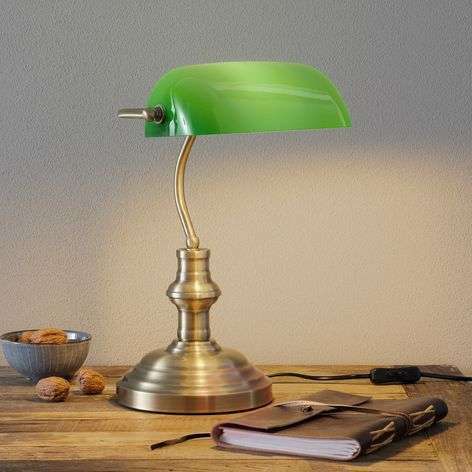 However, the BANKERS table lamp also reveals its charm in the sitting room or study at home. The lamp base is made of metal with an antique brass appearance. The lampshade is made of green glass. Compact fluorescent lamps can also be used.